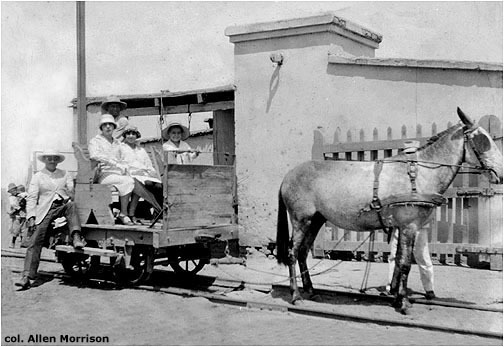 In addition to the tramway systems in Lima and Arequipa, which used both animal and electrical power, there were tramway systems in other Peruvian cities that never electrified and relied entirely on mules and locomotives to pull their vehicles. Two of them, in Huacho and Pisco, also had cars powered by electric batteries; but these were not real electric systems. 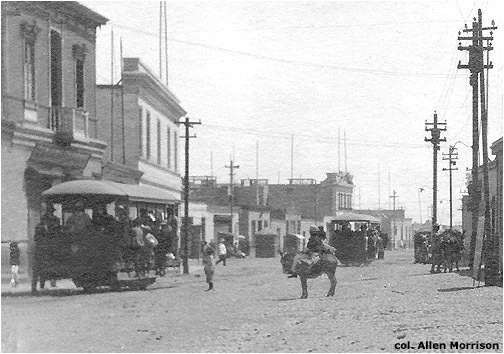 The following cities used only animals to pull their trams: Catacaos, Chiclayo, Cuzco, Paita, Piura, San Pedro de Lloc and Trujillo. 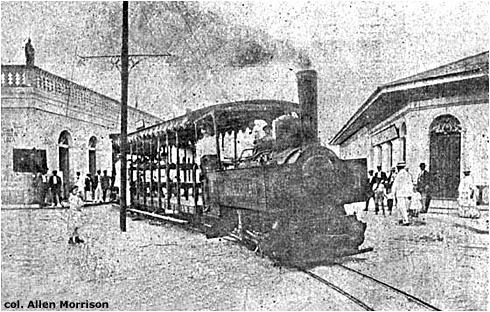 The streetcars in Iquitos were drawn by steam locomotives. 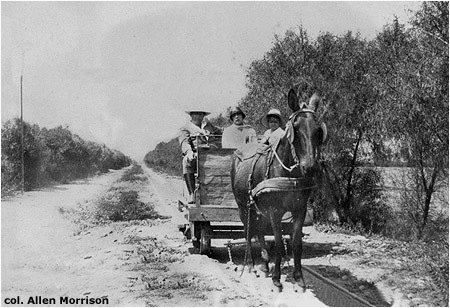 Horsedrawn vehicles also ran in, around and between plantations in several districts, notably along the Chicama River near Trujillo. Some of these lines also used steam power. It is impossible to know all the railways and tramways that existed in Peru for there has never been a complete, all-time, official list. No doubt tramways existed that have not been discovered. Even the lines that are known are mysterious: not much data about them could be found. 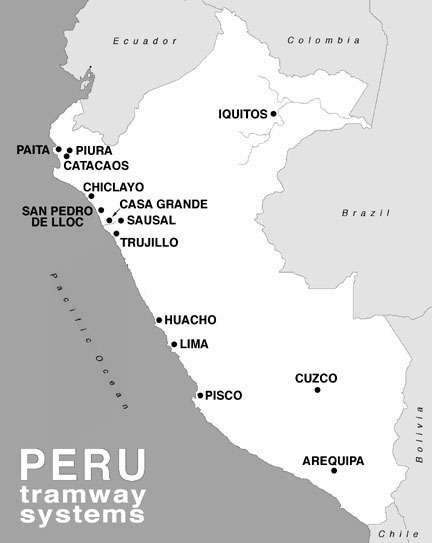 Piura was founded by Francisco Pizarro in 1532 and is the oldest Spanish city in Peru. It is the capital of Piura department. 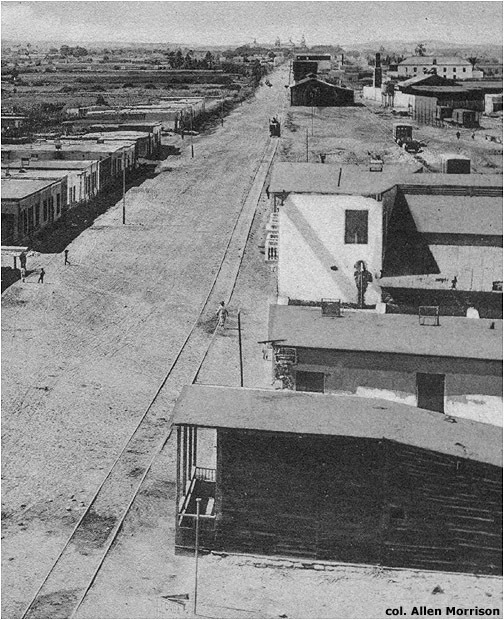 A 1435 mm gauge steam railroad from Paita opened in 1887 and a 750 mm gauge line from Catacaos in 1889. 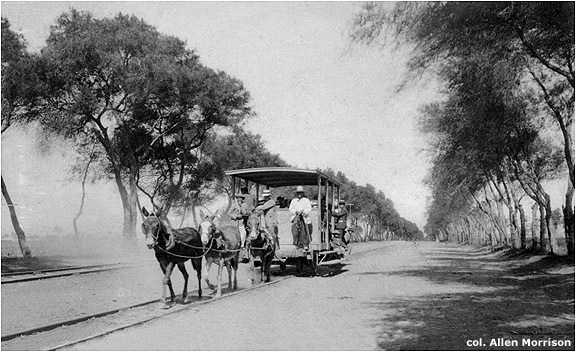 The 750 mm gauge Tranvía Urbano de Piura, which opened about 1890, connected the two railroad stations. A branch to the cemetery was built in 1906. The line ran into the 1930s. No photographs or postcards showing it could be found. Catacaos is only 10 km south, almost a suburb, of the capital city above. 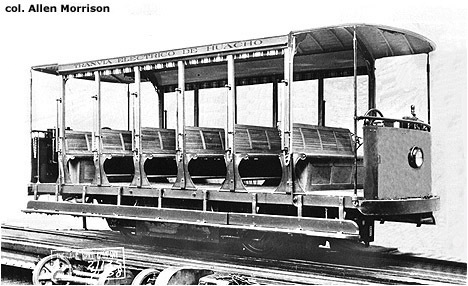 Its tramway was 1.56 km long and also used 750 mm (29.5 in) gauge, but no illustrations of it could be located. 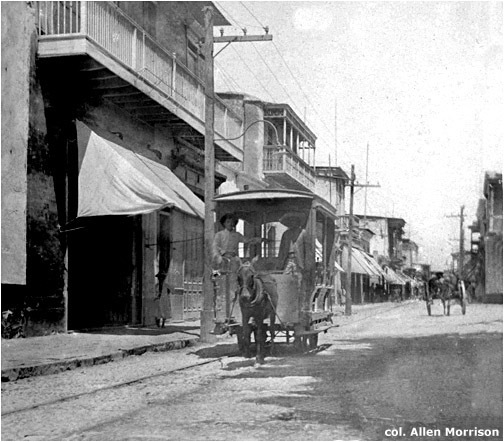 According to Kemp's Desarrollo [see BIBLIOGRAPHY, below], the Ferro Carril Urbano San Pedro de Lloc opened a street railway in 1880. The line is not mentioned on other lists and no other information or pictures of it could be found. 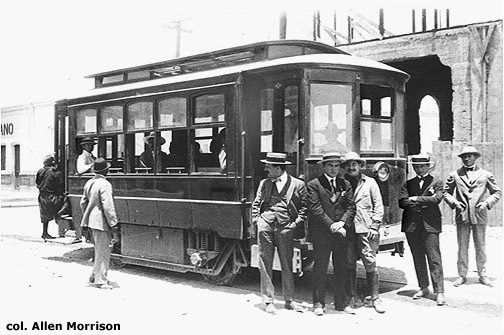 TEH ordered a third battery tram from Brill on 2 September 1922 and the company was sold to Pedro Martino of Lima in 1925. Klaus Kemp claims that passenger traffic ended in 1929, freight service in 1931, and that the company was officially dissolved in 1935. The WSFR reported four battery trams still in operation in 1935, but the information is no doubt erroneous. Pisco is a small coastal city 200 km south of Lima. 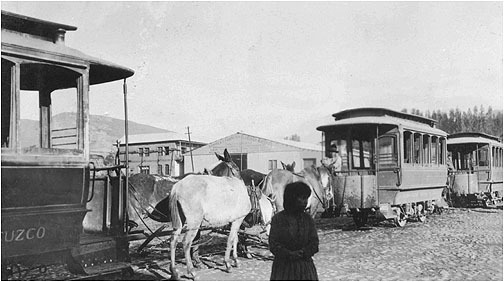 Its tramway system had several distinctions. It was one of the first in Peru. It was the only one outside Lima that used 1435 mm gauge. 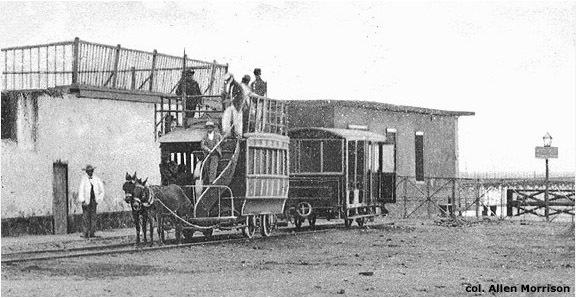 Pisco was the first city in Peru to power its trams with electric batteries. 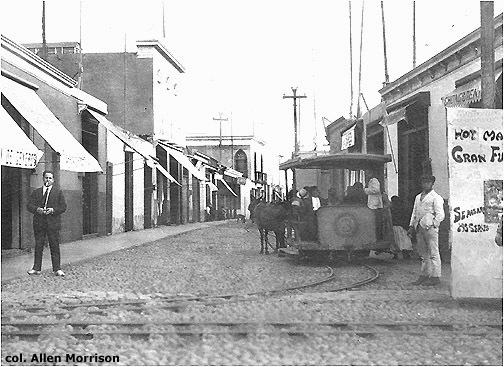 The World Survey of Foreign Railways shows two battery-powered trams still running on 1.6 km of track in Pisco in 1935. Date of the line's demise is unknown. 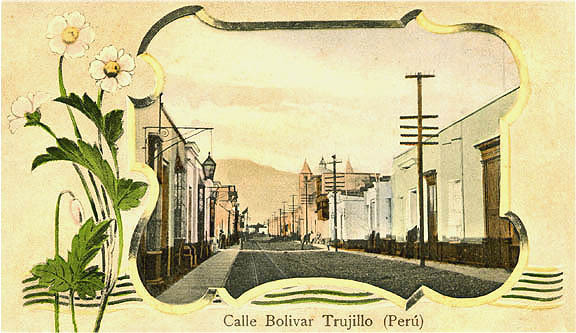 The 1927 and 1928 editions of Peru's Extracto Estadístico [see below] cite the "Ferro Carril Urbano de Cuzco (eléctrico)". 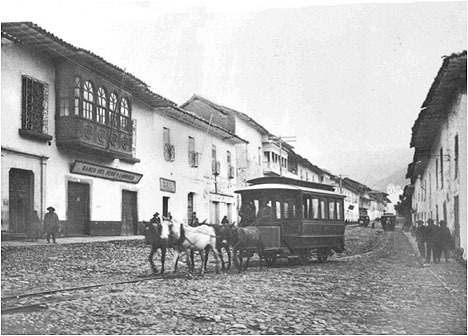 There is no evidence that Cuzco electrified its tramway with overhead wire. 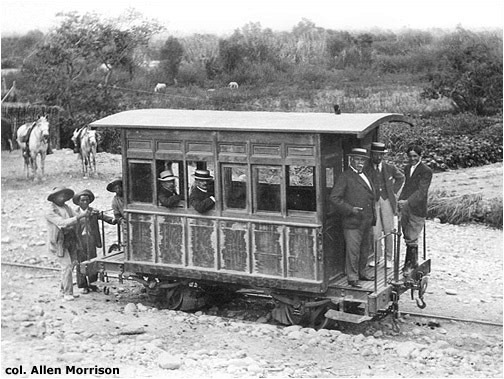 Unless the statistic is a mistake, it is possible that Cuzco operated a battery tram that it acquired from Huacho or Pisco. The World Survey lists of the 1930s report only animal power. 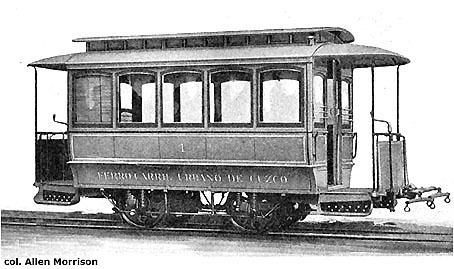 The Cuzco tramway disappeared in 1946. Perú. Dirección Estadística. 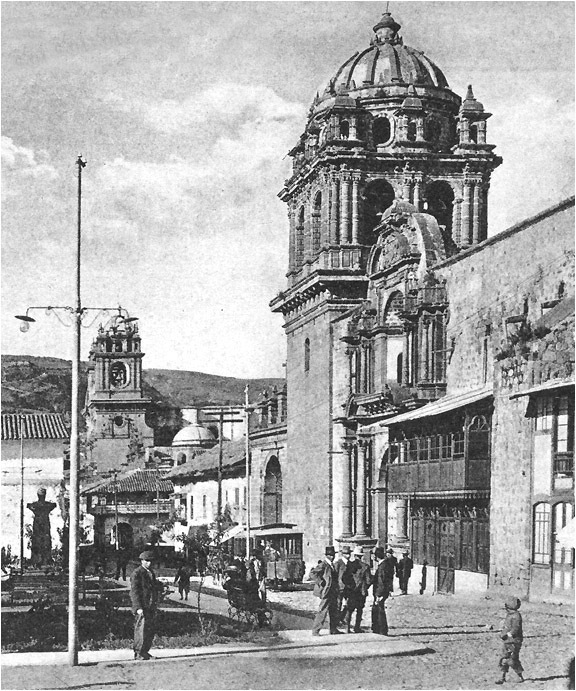 Extracto Estadístico, 1924-1934. 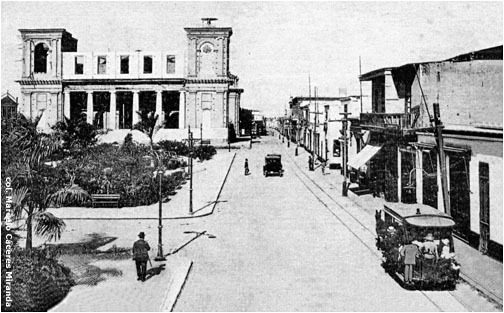 Lima, 1925-1935. Bilingual surveys of Ferrocarriles/Railways note location, gauge and length of Peru's tram lines. United States. Bureau of Foreign & Domestic Commerce. World Survey of Foreign Railways. Washington, 1933. Supplement, 1935. 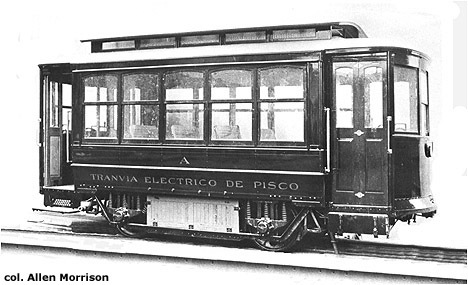 Name, owner, rolling stock, track gauge and length of Peru's tramways. United States. International Trade Office. Industrial Reference Service, vol. 3, pt. 1, no. 9 (12/1945). 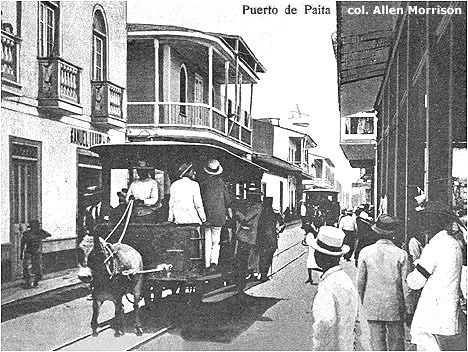 A chapter entitled "Railways of Peru" describes the plantation railways in the Trujillo area, p. 10. Klaus Kemp. Desarrollo de los Ferrocarriles en el Perú. Lima, 2003. Elio Galessio. 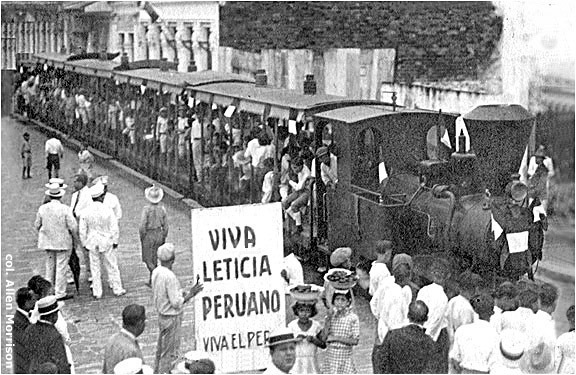 Historical Summary of the Peruvian Railroads. A valuable webpage that describes the development of Peru's railroads (in English). 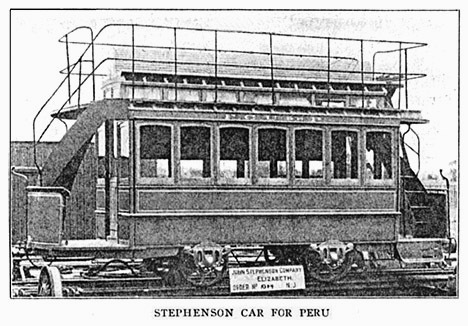 Sr. Galessio also supplied important information about Peru's tramways directly to the author.